Greek Prime Minister Alexis Tsipras, German Chancellor Angela Merkel, French President Francois Hollande and European Council President Donald Tusk have launched new talks within the summit of the Eurozone leaders, a governmental source told the Athens News Agency Monday. 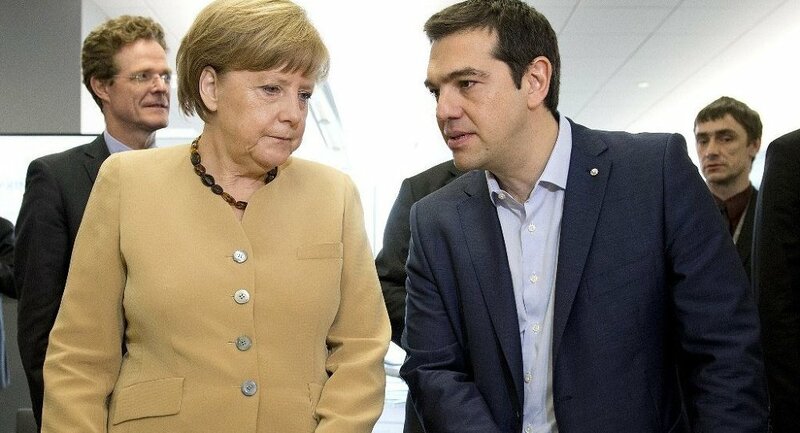 ATHENS (Sputnik) — The European leaders in the quadripartite format are currently discussing the possibility and terms of additional financial aid to Greece. Earlier on Sunday, the Eurogroup came up with a draft document, which includes a recommendation to the leaders of the European Union to propose Greece to temporarily exit the eurozone in case the sides fail to reach agreement on the bailout program. On July 9, the Greek government submitted a reforms plan, which includes significant spending cuts, to the international creditors. In case the agreement is reached, the Eurogroup says Greece must adopt pension reform and taxation laws by Wednesday, July 15.